Authors couldn’t find a patient to give consent for case report. Then the patient found the report. When a group of authors decided to write up a curious case of a 35-year-old woman with a mysterious mass that took 11 years to be diagnosed, they tried repeatedly to contact the patient for her permission. When they couldn’t reach her, they published the paper anyway, removing any identifiable information. But the report apparently included enough details for the patient to recognize herself — and when she read the paper, she asked the authors to retract it. 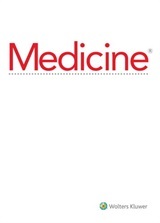 The authors of the paper “Transformation of a nonfunctional paraganglioma with I-123 MIBG scintigraphy correlation: A case report”, which appeared in Volume 95, Issue 2 of Medicine, have asked that their case report be retracted. The patient that is the subject of the report was unavailable for consent and has since asked that it be removed. All images have been removed from the report. The patient was unreachable to discuss consent for publication. The retraction was in response to an email we received from the corresponding author asking if we could retract the paper, stating that the patient has requested that the case report be removed from publication. After the initial email, we agreed to retract the paper and also asked for additional information regarding the situation. The corresponding author stated that numerous attempts were made to contact the patient prior to submission of the manuscript but they were unsuccessful in getting consent. Following the procedure for case reports they ensured that the patient was anonymous and no identifiable information about the patient was included in the paper, however, the patient did come across the article online and reached out to the corresponding author about its removal. With respect to the patients privacy and confidentiality we will also be removing all images and text associated with the original case report to ensure that it is not searchable and properly removed from the scientific record. We contacted corresponding author Eric A Davalos, from the Department of Radiology at Harbor-UCLA Medical Center in California, who, according to the Center’s website, is a resident graduating in 2017. We have also reached out to last author John Shim, chief in the division of nuclear medicine at the David Geffen School of Medicine at UCLA; we will update the post if either responds. If an article is retracted, shouldn’t it be removed from the journal’s website? I do not think they understand what the word “retracted” means. why dont the journals make a new section of retracted articles, so that everybody is familiar with it. Generally no, best practice is to keep the article up, but clearly marked as “retracted”, for the benefit of people who are interested in the retraction. But this is a case where I think the paper probably should be removed, because of the privacy issue. When they couldn’t reach her, they published the paper anyway, removing any identifiable information. I trust that what they removed (or attempted to remove) was identifying information. Some days I do feel that I have encountered a publication that contains no identifiable information, but never (so far) in a scientific paper. If this is a patient in the United States, HIPAA law states you can’t only not disclose patient identifiable health information (PHI) for reasons unrelated to treatment, operations or payment, you can’t use (access) it either. So just anonymizing the information for publication doesn’t get around that.